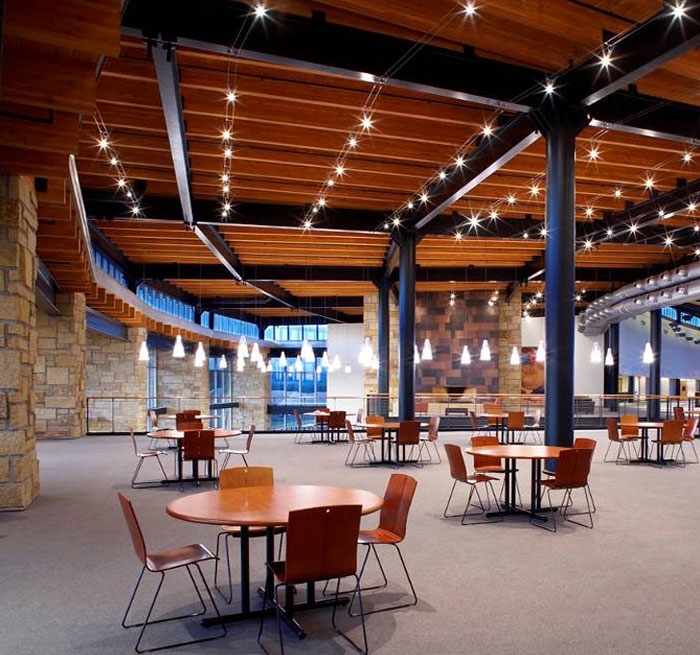 Auerbach Glasow provided lighting design and management services for Epic Systems Corporation’s Voyager Hall building; a client training facility for the medical records software developer. 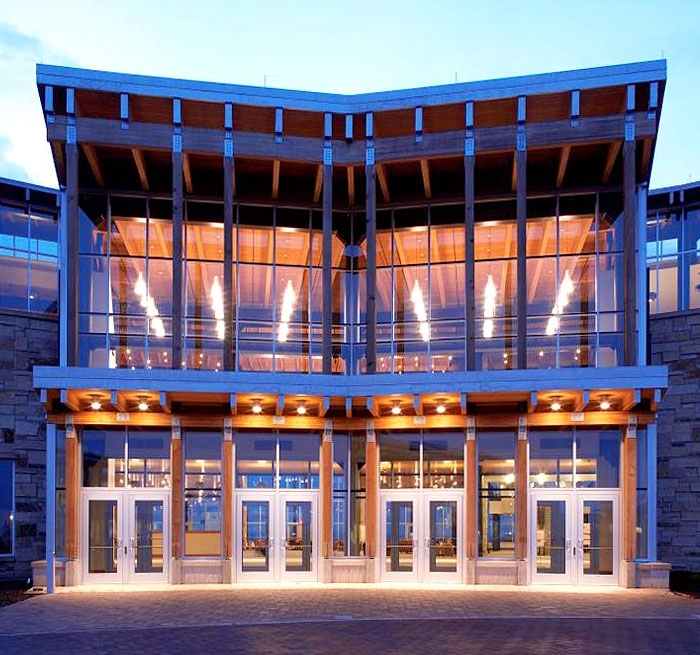 The firm’s collaboration with the client, Cuningham Group, began at a very early stage in the design process to ensure lighting was an integral part of the architectural design of this private conference center, which included all public spaces, dining areas, meeting and training rooms, a vendor display hall and Epicenter – a 4,500-seat corporate theatre that can be divided into three smaller auditoriums. 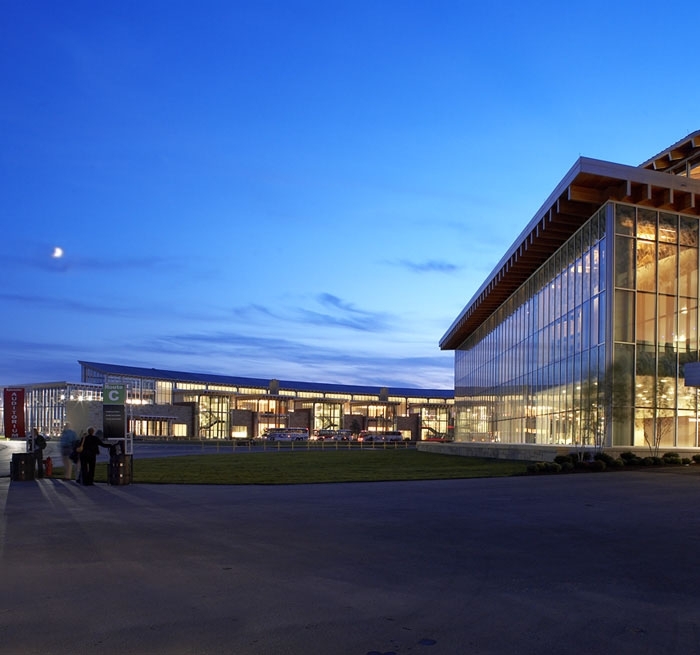 The building, a series of large, expansive volumes arrayed along an S-curved concourse, contains the Learning Center, whose clean aesthetic reflects the technical nature of Epic’s business. 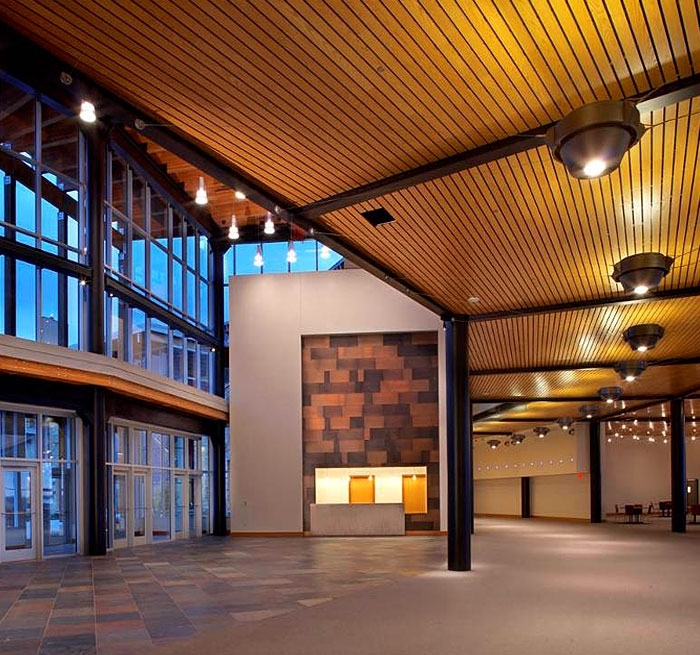 The public spaces, accented in warm tones of wood and copper, create an overall inviting environment with purposely few distractions to allow visitors to focus on their meetings and classes. All spaces are controlled by a central dimming system with integral occupancy and daylight sensors to reduce energy use and extend lamp life. Individual rooms have additional local controls to give instructors the ability to customize the space. Care was taken to make all fixtures easily accessible and to minimize the number of lamp types used to ensure the lighting system could be maintained with a modicum of effort.